As a kosher baker, milk and butter are two of my biggest enemies. Most of my baking is for meals with meat, so I have to keep food dairy-free. This means I have to find substitutions without sacrificing flavor. I've already addressed butter in a previous post (Replacing Butter: Vegetable Oil) so I think it's time I tackled milk. Most of the time, I (along with most other kosher bakers) use soy milk as my substitution of choice. But there's plenty of other options out there: almond milk, rice milk, oat milk, and even hemp milk are all relatively easy to find in supermarkets these days. Friends of mine swear by different products, each one praised to the heavens about how much better it is than soy milk. How can one person choose? 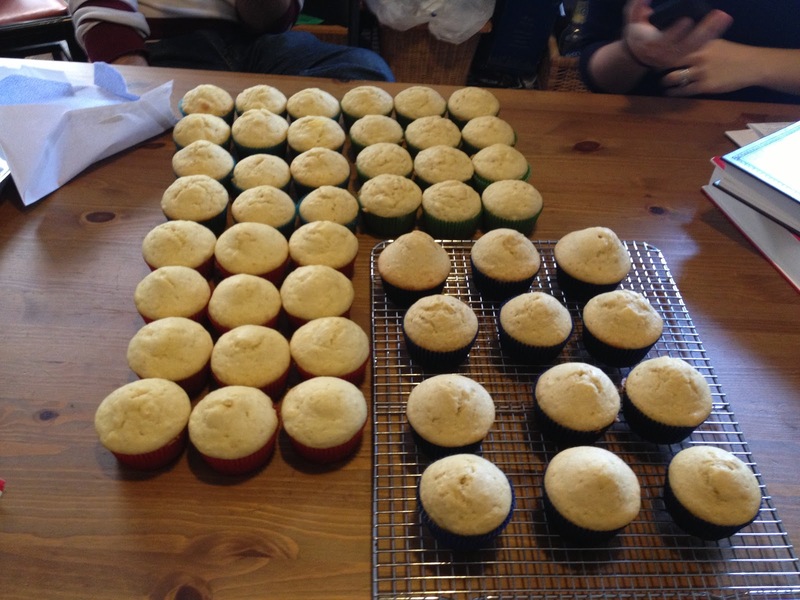 I baked four batches of muffins, with 12 muffins to a batch. Every batch was exactly the same, except for one ingredient: the milk. One had 1% milk, another used soy milk, another was rice milk, and the last was almond milk. I used oil instead of butter to make sure any "dairy flavor" could only be attributed to the milk. Here's a closer look at each muffin. Can you guess which is which? The answer is in the caption, so don't scroll down too far if you want to guess. From left: Almond (green), rice (light blue), soy (dark blue), and 1% milk (red). Just by looking at them, you can see there's a stark difference between the muffins. The soy milk muffin has a higher dome, while the almond milk muffin looks...bumpy, for a lack of a better word. But how different do they taste? 2/3 of testers said the regular milk was their least favorite. Some described it as "dense" and "rubbery." Only one person correctly guessed which muffin had milk. Half of the testers thought it was the rice milk. 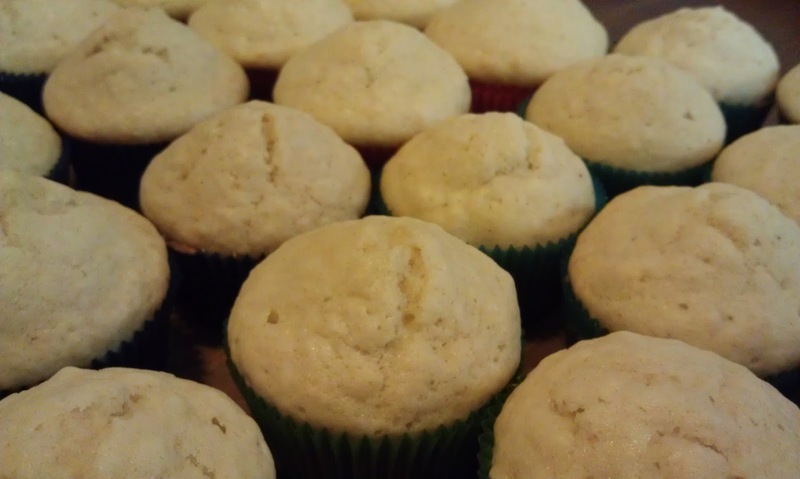 In fact, more than one person said "I can really taste the milk substitute" while eating the milk muffin. It's pretty clear by looking at these results that soy milk is the favored substitute. It should be noted, though, that almond milk was pretty close behind, with the same number of "points" as soy milk but with less first place votes. And if that's all you wanted to know by reading this post, feel free to stop here. But if you want to know why I think this was the result, keep going. First, the soy milk has twice as much fat as any of the other options. As any good baker knows, more fat equals more flavor. Next, the sugar in rice milk is about the same as regular milk, which is probably why it was mistaken for real milk by many of the testers. As for why milk was so poorly received and had such a bad texture, I turned to science. Specifically, Harold McGee's On Food And Cooking: The Science and Lore of the Kitchen. There, he explains that a protein in whey can sometimes weaken the gluten structure of baked goods and produce denser products. Muffins by design have very loose gluten matrices that are only just strong enough to hold onto the gas produced by chemical leaveners. If the gluten matrix was sufficiently weakened by the milk, it wouldn't be able to trap the bubbles during baking, and you'd end up with a dense muffin. So what can you take away from this experiment? If you have to replace milk in your baking, try soy milk. If you end up using something with less fat, add some additional fat to the batter to compensate. Also, keep an eye on the sugar content, as you might have to adjust it to meet expected tastes. And stop panicking about milk. Apparently, no one likes it anyway. 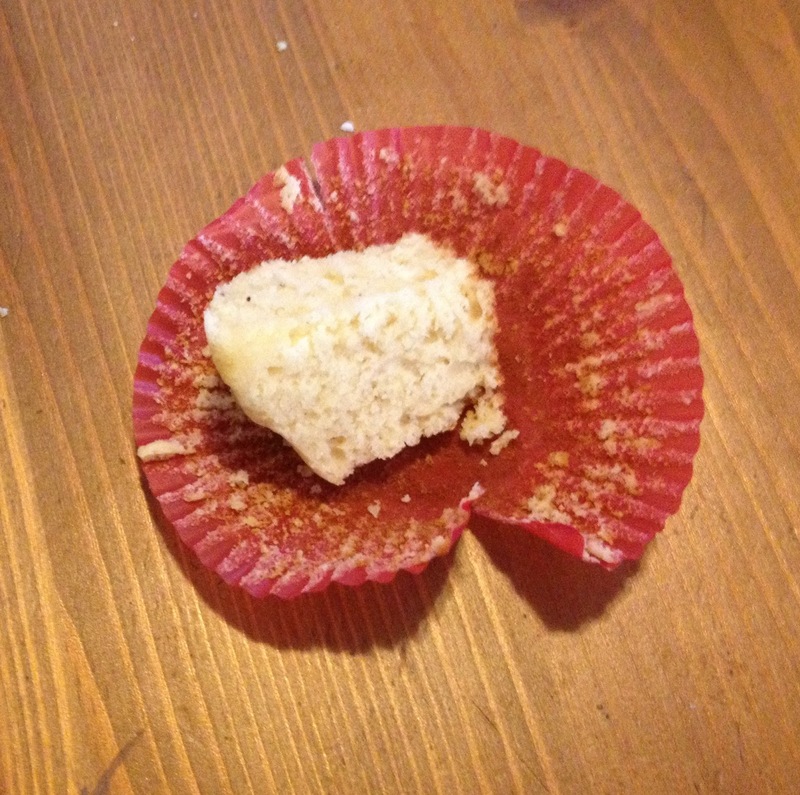 A piece of milk muffin no one wanted after the tasting. This is a really useful post. I have baked with soy milk for years and love the soft texture it gives my dairy-free desserts. Thank you for your research. Thanks for checking it out, Paula! 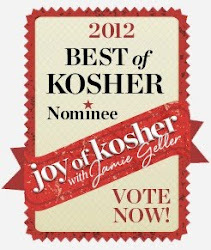 I also keep kosher so this is useful, but I wanted to share it with friends who do not keep kosher. I was wondering if any of the testers did NOT keep kosher (and may have had more exposure to milk, not pareve, muffins), for full diclosure. The testers all kept kosher. I did a not-blind taste test with my non-Jewish coworkers where I brought in 40 leftover muffins and told them which was which. Most of them preferred the soy or rice; no one really liked the milk. Thanks so much, and for our son, who is lactose-intolerant, I now know that soy milk is a good substitute. (I've tried almond milk, but maybe it'll be better with soy milk. So I appreciate that taste testing!) But as we keep kosher, I can't use soy milk because the brands sold around here in Indiana that have a hechsher are listed as dairy. (Yes, that probably means the soy milk was produced on equipment also used for dairy, but I don't want to use it for meat dinners.) Does anyone know of a brand of soy milk that is kosher AND pareve? Glad this was helpful! I used Edensoy soy milk, which is OK-Pareve. OU-Pareve "Better Than Milk" soymilk powder. For most recipes I put in the water separately from the powder, so there's very little added labor. I have not tried it in baking yet. It has been the most requested substitute that I didn't test this time around. 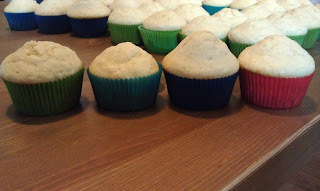 I wanted to use it but I had to put a limit somewhere or I would have ended up with WAY too many muffins. Maybe next time. Hi Avidan, a friend forwarded me your blog and I feel like I may have met a kindred spirit. I am also a food science geek and love to know why things work. Shirley O. Corriherr, Harold McGee and Cook's Illustrated are bedtime reading for me! Coconut milk does work quite well in baking applications. In recipes where you are required to cream butter and sugar together, coconut oil (which is solid at room temp) is quite good. I have all of those books very close to my bed as well! I've also got a Larousse Gastronomique around just for reference from time to time. Coconut oil is something I'll be looking at in a future test. It's been highly suggested. I always use coconut milk. The kind from the can, not the beverage you find in the refrigerated section of the grocery store that has lots of additives. Soy milk is VERY unhealthy. Pure coconut milk with a little water to thin it out tastes great and is good for you.